Would You Pay $400 for a Night's Sleep? Pediatric sleep specialists promise to get your whole family back on track with the Zs after Baby is born. But is it worth the price? "I have to wash my hands." "I can't find Nutsy." (Her stuffed squirrel from Walgreens). "You forgot to float the blanket over me." There's a reason Go the F**k to Sleep was a bestseller: Ours is a nation of zombie-eyed parents desperate for our kids to stop stalling before bedtime or screaming bloody murder in the middle of the night because they just realized they left their Little People zookeeper in the car. The depressing truth is, if I were to look back over last year, I can count the number of times I slept a solid seven hours in a row on one hand. Yes, we also had a baby who had her fair share of 4 a.m. wakings. But it was primarily our older DD (Dear Daughter) raising a ruckus on a near-nightly basis. My husband and I tried everything we could think of—cuddling, yelling, bribing her with new books or the promise of baking cookies in the morning—all with limited to no success. I posted on parenting networks and solicited advice from Facebook mommy forums. Finally, we called in the Big Guns: A sleep specialist. Can they be pricey? Yes. Will insurance cover it? No. 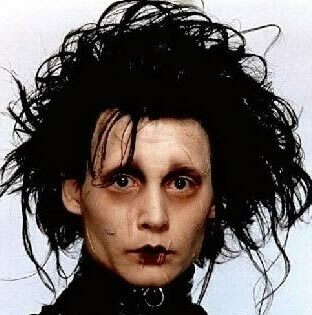 Was I sick of looking like Edward Scissorhands on a good day, Nick Nolte's 2002 mugshot on a bad one? I was. "The people who call me typically fall into two camps," says Janeen Hayward, founder of Swellbeing, a Chicago- and New York-based parenting resource service. "They're either looking for help to get an infant to sleep through the night, or their toddler's sleep has suddenly and quickly gone from good to terrible." In our situation, Hayward said, DD had been hit with a quadruple whammy of major changes: New sibling, new house, new routine (starting preschool) and new bed (we transitioned her out of her crib so the baby wouldn't have to sleep in a leftover Amazon box.) Hayward assured us that "this happens a lot to firstborns, as parents often move just before a new baby comes, and that tends to be the same time as school starts." Still, I could only imagine our girl's sweet little three-year-old mind probably interpreted this as, "They love this new baby more than me so they're taking my room away, stealing my bed and now they're leaving me in some strange building for three hours a day." All of that calling out, Hayward posited, was DD's way of checking to make sure that her dad and I are still there for her—physically, emotionally and metaphorically—"and that you still care," Hayward said. Upon seeing the look of horror that washed over my face when I realized I was the cruelest mother on earth, Hayward assured me that all was not lost. The damage was done; now it was time for spin control to undo the unhealthy sleep patterns, get DD back on track, and make it possible for my husband and I to once again snooze long enough to enter REM mode. If your child seems content in her crib, leave her there for as long as you can—until she's three years old or begins climbing out, if possible. When kids get overtired, their bodies release a burst of adrenaline and cortisol. "That's why overtired children look really alert, kind of hypomanic," Hayward says. If they go to bed too late (even if it's 8pm and doesn't seem late at all), they'll be prone to these hormonal bursts which wake them up, prompting them to call out. Keep the lights dim leading up to bedtime. That means no bright overhead lights during bath time or reading time. Invest in a lower-pitched sound machine with a fan; both are soothing for kids. Don't be afraid to jack it up. Hayward recommends the Marpac DOHM. Try a kid-friendly yoga or meditation CD; she likes Sitting Still Like a Frog: Mindfulness Exercises for Kids (and Their Parents). The Invisible String is also helpful; the book teaches children the hard-to-grasp concept that even when their parents aren't physically present, they still have a connection. For nighttime wakings, repeat a brief script, over and over, without a raised voice along the lines of, "Mommy and Daddy are here for you, we love you, but it's night time and not time to be awake." (The first night I put this plan into action, I needed to repeat the script—no joke—almost 50 times in a row, but it eventually worked. Amy Wruble, 45, a mom of two and the brains behind the blog Carriage Before Marriage, tried everything from lavender lotion and custom blackout shades to memorizing Healthy Sleep Habits, Happy Child before seeking professional help for her then-four-month-old daughter, Vivien, who had a habit of waking multiple times per night. A postpartum doula helped Wruble and her husband craft a sleep training plan, and "we saw real change within a few nights, but I was still dealing with a stubborn 4 a.m. wake up for about 10 days," Wruble says. After that, it was smooth sailing. "For what we spent, we could have enjoyed a Hawaiian vacation or bought a new dining room set, so it's a little embarrassing. But I'd do it again. Once our daughter started sleeping through the night, all three of us were so much calmer, happier and healthier. With much more energy during the day, I was finally able to be the mother I wanted to be." Hayward said some benefits of hiring a specialist (versus, say, reading a book) include getting parents on the same page ("Parents often come to me aligned in the goal of more sleep, but divided on how to get there") as well as encouragement and support. Plus, with a background in mental health, "I am able to instill a sense for hope that the future of their family's sleep can look brighter. Sleep deprivation can take such a hefty toll on parents' mental health that often they can become hopeless about things changing." Months later, DD has certainly improved overall, but she has her moments. I've found myself wandering back into sticker chart/a.m. popsicle bribery, so it's time to push the reset button and give Hayward's script another spin. And while I haven't exactly returned to the long-and-hard sleep of my college years, I have hope that our family can turn over a dreamy new leaf.